A beautiful smile is, above all, a natural smile. 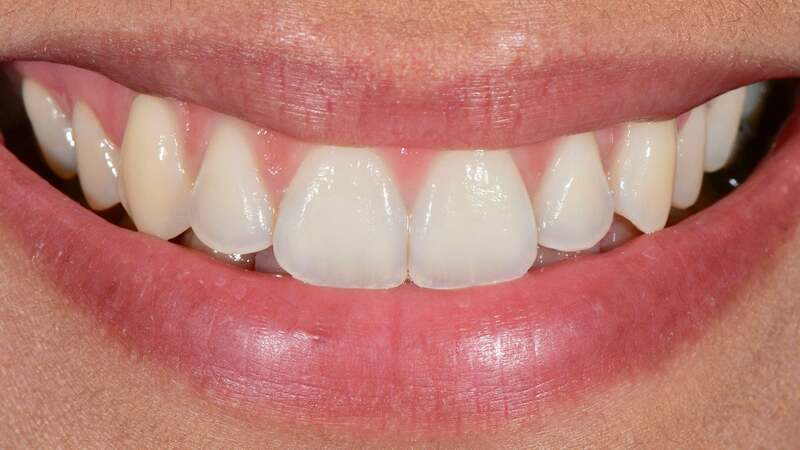 A simple dental whitening can in simple cases be enough to improve one’s smile, making teeth brighter, however in most cases ceramics restoration (facets or crowns) is indicated to modify not only the color but also the shape. and the alignment of the teeth. Treatments that aim at improving one’s smile are based on the same method as the others: diagnosis and planning. At first, photographs of the patient are processed using a specific software, to analyze the smile in relation to the face as a whole, then to proceed with a more in-depth analysis, tooth by tooth. In order to create a harmonious impression, the dental and gingival curves should be consistent with those of the lips and with the horizontal and vertical reference lines of the face. This computer-assisted planning, also known as “smile design”, is the frame that we will follow until the end of the treatment. 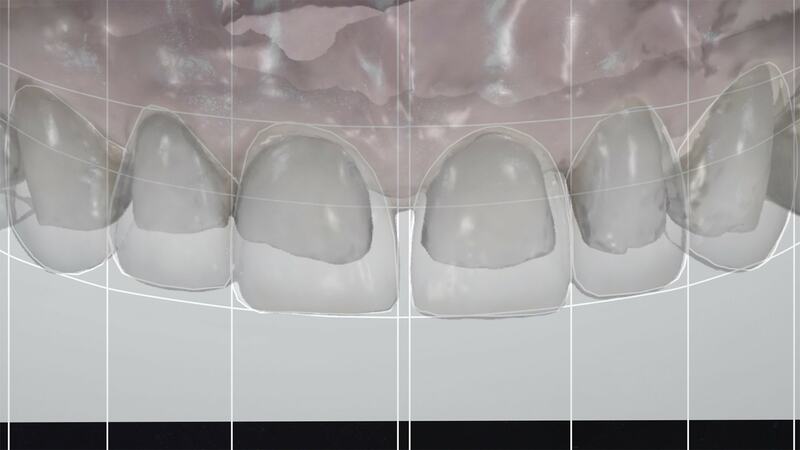 Because the goal of the treatment is to transition from smile design to reality, CFAO software is used: by superimposing the images of the planning on the optical impressions of the patient’s teeth, the modeling of future ceramic restorations is carried out in following the lines and curves of the smile design, thus reproducing the desired smile in 3D. 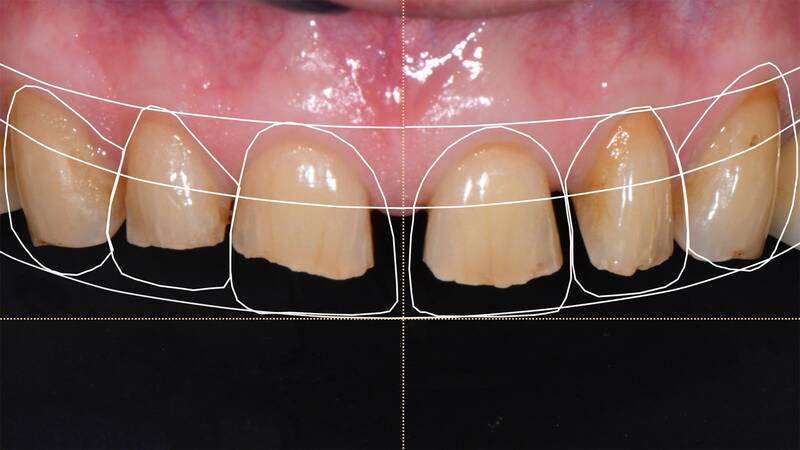 Today, we have access to libraries of beautiful digitalised natural teeth that, through a “copy / paste” type process, can be imported and adapted to the patient’s digitized dental arches. In this way, the ceramic restorations resulting from this modeling will have exactly the same morphology and the same texture as the selected natural teeth. 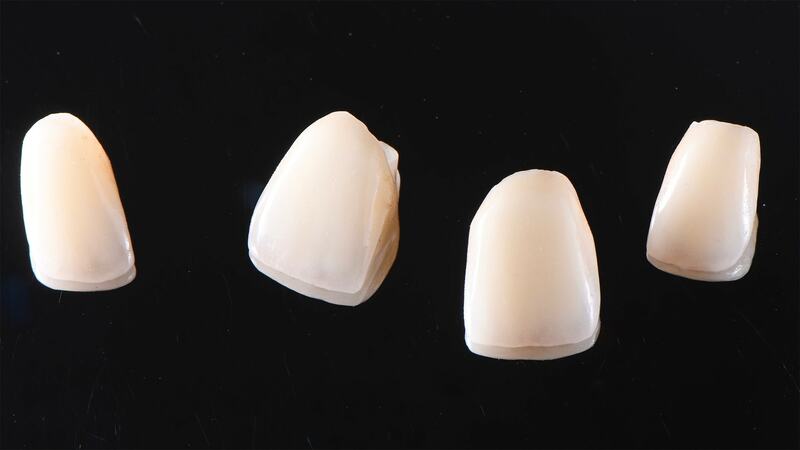 The other advantage of CFAO is the fact that the ceramic restorations (facets or crowns) modeled can then be machined in ceramic blocks whose optical properties are close to natural teeth, a paramount parameter in cosmetic dentistry, given the fact that beautiful teeth are primarily natural teeth.